Out now on Play Pinball! 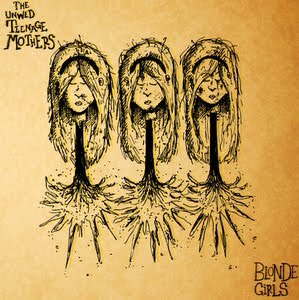 Records (as of Monday) is the new The Unwed Teenage Mothers 12" Blonde Girls. Double your pleasure and double your fun with this duplicate sided record. According to the boys at Play Pinball! "you'll need that new side after about a month of spinning the strong 150 gram vinyl over and over and over and over and over...and over!" The band includes members of Bass Drum of Death and Lover!.